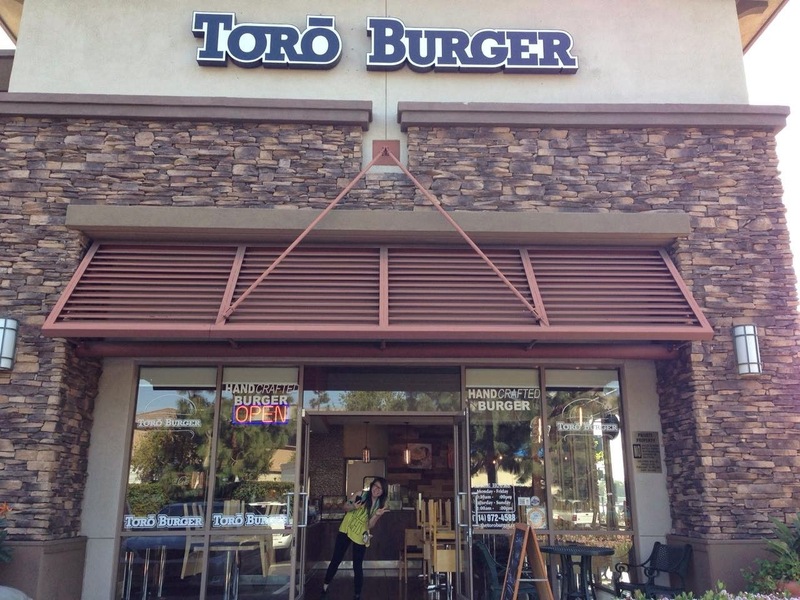 TORO BURGER - SANTA ANA (CLOSED - Replaced by GD Bro Burger) - EAT WITH HOP! This place caught my attention one day when I was driving around Santa Ana looking for some place else. I noticed that I have never seen this restaurant before and was thinking that it must be a newly opened place! Anyway, the next day, I saw this place featured on my Instagram newsfeed with a picture of a Ramen Burger. 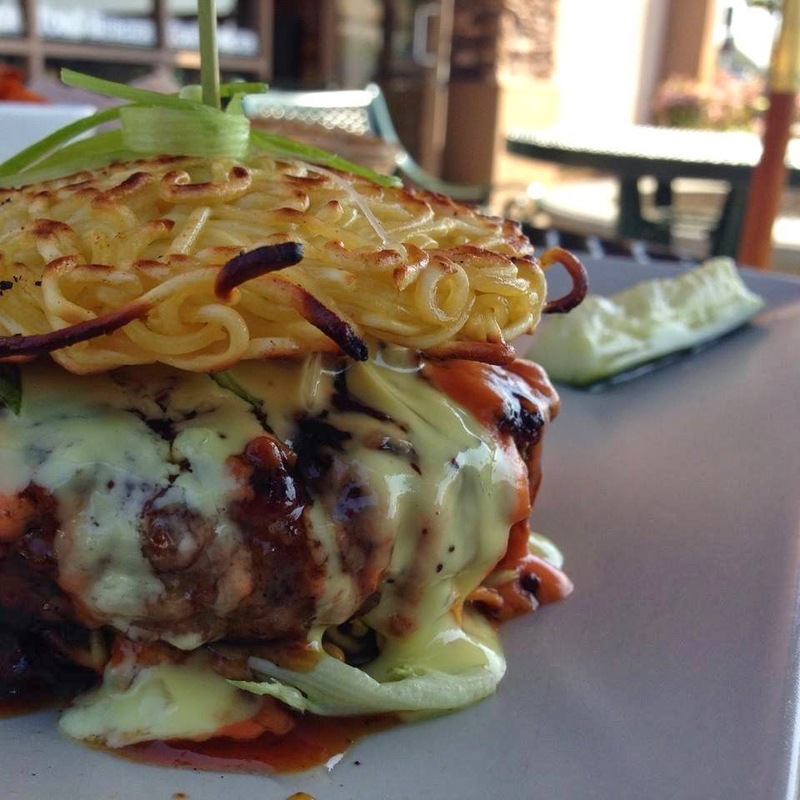 A RAMEN BURGER. I've been wanting to try this ever since I heard about it from the Ramen Festival in Los Angeles last summer. Luckily, a place that offers the popular Ramen Burger has opened nearby in Santa Ana! I took my friend Keita here last Saturday to try this interesting idea for a burger. Being Japanese, Keita simply couldn't accept this ridiculous idea of ramen and burger blended together. However, upon entering the store and finally seeing photos of it, the Ramen Burger was something we definitely wanted to try. The menu included not just the unique idea of a Ramen Burger (labeled as noodle burger) but it even had Banh Mi Burger! This is so Vietnamese I thought! It even has fish sauce in that burger! 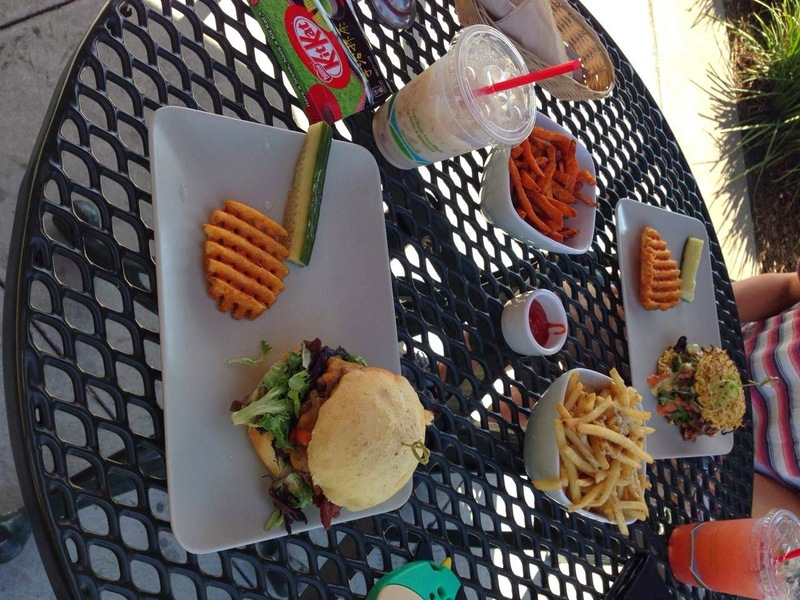 Anyways, we ordered the noodle burger and toro burger with the truffle fries and the sweet potato fries. As for drinks, I got the Jasmine Milk Tea (apparently this is unheard of in Japan according to Keita) and Keita got the Strawberry Lemonade (resembled almost exactly to the Strawberry Basil Lemonade from Mick's Karma Bar in Irvine and tasted the same too!) Both were incredibly delicious as expected! "Umai" was basically Keita's first reaction. 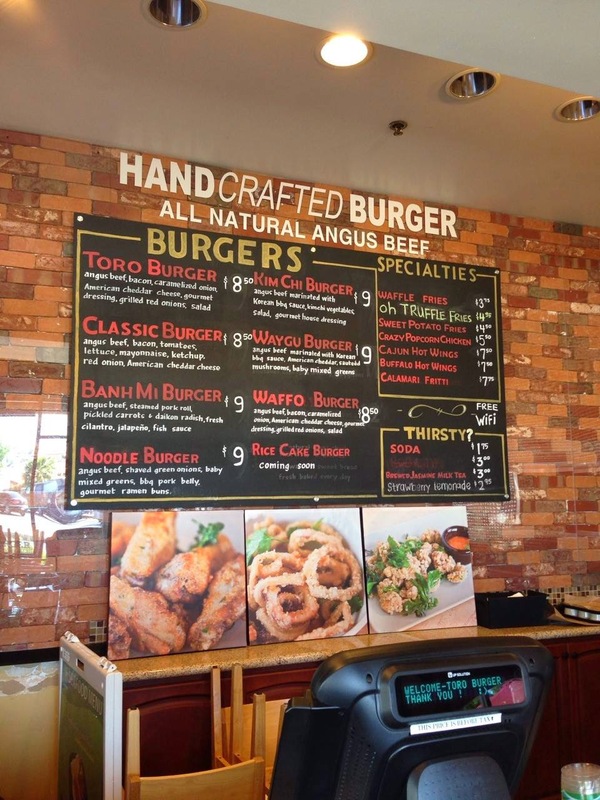 Overall, I would totally go here again to try the other burgers! (Kimchi burger sounds delish!) They even have the check-in deal for FREE WAFFLE FRIES! Who doesn't love free?! And they've got FREE WI-FI too for you to definitely be able to check-in for the deal! omggg it looks good right ? i wanna try making it too ! !